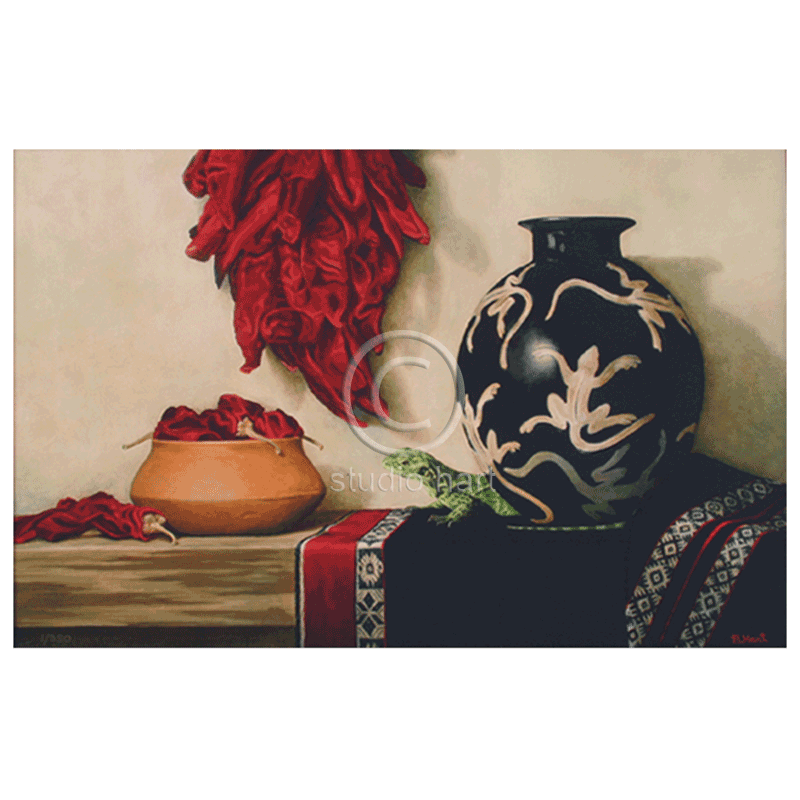 I loved painting the playful lizard sneaking off the Peruvian vase as he comes to life, heading for the chili ristra. This image is a blend of contemporary and southwestern art. The reds, greens and blacks in this limited edition print create an absolutely striking color combination. If you love this image, you’ll be thrilled with the real thing. Size: Image 16X24″. Paper size 19×27″.